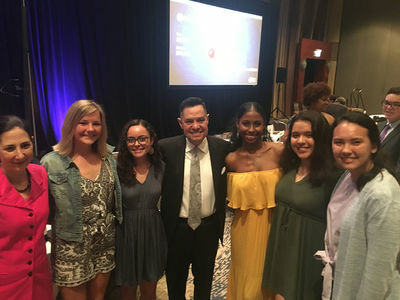 Luis Ricardo Fraga, director of the Institute for Latino Studies at the University of Notre Dame, has received a lifetime achievement award for excellence in community service from the Mexican American Legal Defense and Educational Fund (MALDEF). Fraga has contributed research to lawsuits filed by MALDEF and other civil rights organizations, such as the NAACP and ACLU, on numerous cases, including work on the 1965 Voting Rights Act with Chandler Davidson, research professor and Tsanoff Chair of Public Affairs Emeritus at Rice University. Working with the New Language Program through Notre Dame’s Alliance for Catholic Education, Fraga helped establish the first-ever Spanish-English, two-way immersion program in a Catholic school in the Diocese of Fort Wayne-South Bend at Holy Cross School in South Bend. 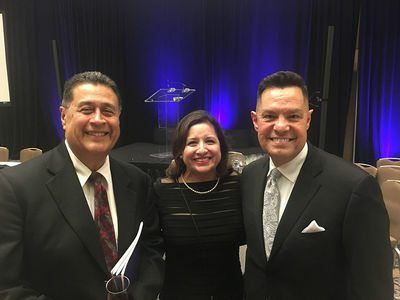 ILS’ Transformative Latino Leadership Lecture series was initiated by Fraga with the goal of engaging prominent figures in politics, entertainment, the arts, business, activism, the church and other fields. These influential leaders present both their personal experiences and a vision of effective leadership in their spheres of influence with the goal of inspiring and informing young leaders about the possibilities, pitfalls and principles they should know as leaders in our contemporary world. Helping students “understand the public consequences of their private decisions” has been a goal of Fraga’s. He also allows this lesson to guide his own work, using his knowledge, resources and support to give back. A graduate of Harvard University, Fraga received his master’s degree and Ph.D. in political science from Rice University. His primary research interests are in American politics, where he specializes in the politics of race and ethnicity, Latino politics, immigration policy, education politics, voting rights policy and urban politics. Fraga’s two recent books highlight this research, the co-authored "Latino Lives in America: Making It Home" and "United States Government: Principles in Practice," a high school textbook. Fraga was one of six principal investigators on the Latino National Survey, the first-ever state-stratified survey of Latinos in the U.S. This survey explores questions regarding political attitudes, beliefs, behavior and policy preferences. Luis Fraga with ILS Director of Undergraduate Studies, Karen Richman, and the Cross Cultural Leadership Program Chicago interns. In 2011, Fraga was named one of the top “100 Influentials” in the U.S. by Hispanic Business magazine and served as a member of Barack Obama’s President’s Advisory Commission on Educational Excellence for Hispanics. Fraga is currently the acting chair of the Department of Political Science, the Notre Dame Professor of Transformative Latino Leadership, the Joseph and Elizabeth Robbie Professor of Political Science, and a fellow in the Institute for Educational Initiatives. He has previously served on the faculty at the University of Washington, Stanford University and the University of Oklahoma. Originally published by Institute for Latino Studies at latinostudies.nd.edu on June 21.